eco-friendly timber blinds made here in Perth. Classic and fashionable, timber venetian blinds can be adapted to enhance and elevate any room. They allow you control over privacy, light and are durable and versatile. Made from Basswood timber which is an environmentally friendly plantation grown wood from the hardwood family. The sapwood of basswood is white or cream, while the heartwood is pale to reddish brown with darker streaks. When dry, the wood has no characteristic odour. The wood is soft and light, with a fine even texture. The reasons for their dominance in the wood window coverings industry is their stability and lightweight. As a hardwood, basswood has no resin to bleed through the finish as softwood does. Basswood is one of the lightest hardwoods, so there are no sagging problems from excessive weight that come with other hardwoods. Lastly, basswood has virtually no warpage, which is why it is used in pianos for soundboards. GOOD – Light Standard Polystyrene Colours The “Good” range offers you all the plain light colours that coordinate with most interior colour schemes to enhance your décor. This product will withstand heat at the window to 73° Celsius. BEST –Jarrah Image and Cedar Image on Basswood Timber with Furniture Quality Finish The “Best” range offers you real warmth and feel of basswood timber product that will not fade to the naked eye due to its high U.V. resistant finish and will give you the opportunity to make blinds in widths up to 305cm. 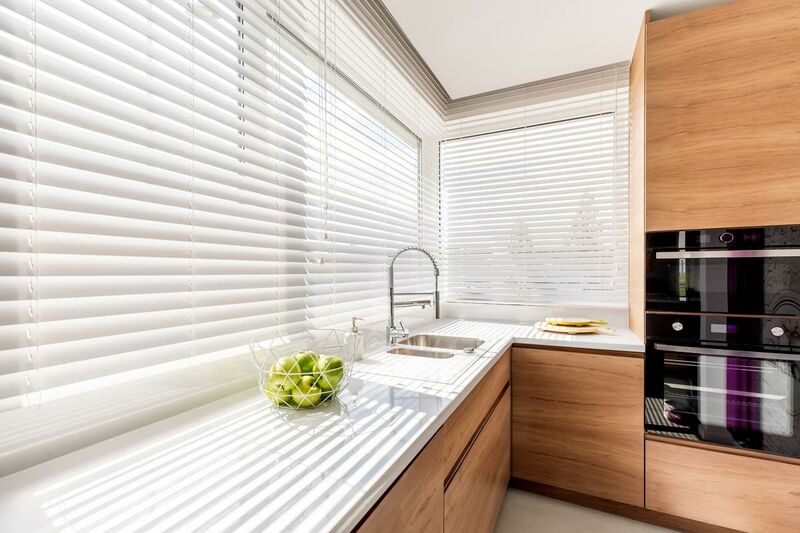 Timber Venetian blinds offer the practical functionality of blinds combined with the warm appearance of wood, making them ideal for many areas around the home. Filter the amount of light coming in through your windows exactly how you like it, and maintain your privacy with a simple touch, when you install timber Venetian blinds in your home. Venetian Blinds are not hard to clean and maintain. Venetian blinds can be vacuumed to remove dust. Adjust them so they lay flat and vacuum using a brush attachment. Any other dirt dust can be wiped off using a damp cloth. It is best to refer to the care instructions when looking to clean any window treatments. 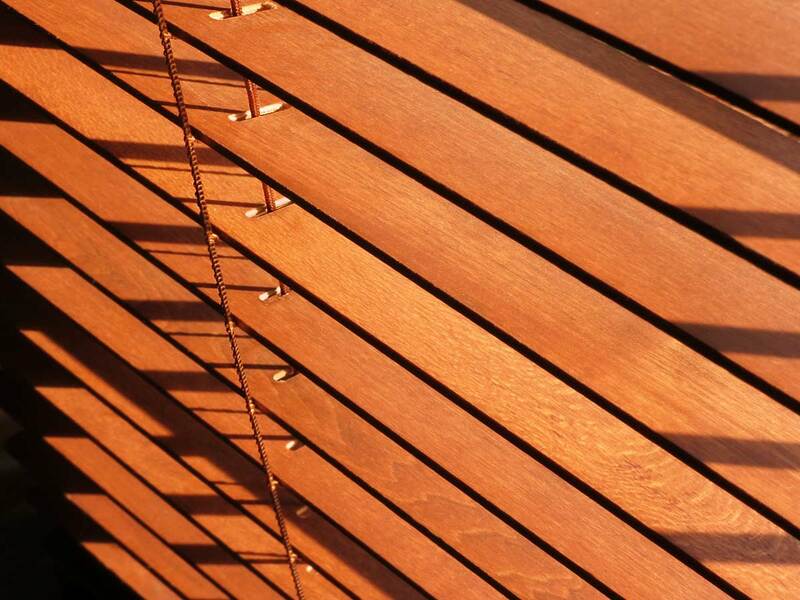 If you’re building, renovating or just want to update your space with timber Venetian blinds, come in for a consultation.